Belvedere Designs: "Stairway to Heaven"
When you hear, "Stairway to Heaven" you may think of Led Zepplin, but the Belvedere Designs team has other thoughts! You can easily make your staircase look brilliant with a few simple simple "steps!" 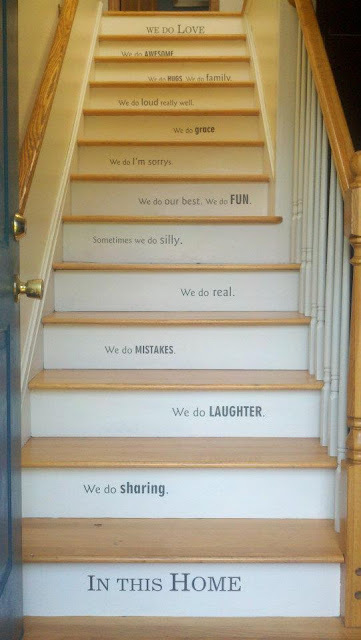 A few of our amazing customers have personalized their stairways with our wall quotes and they turned out beautiful! 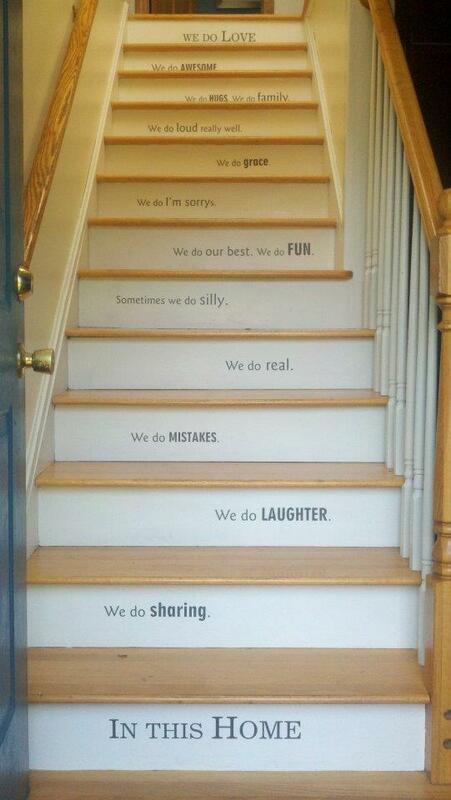 This staircase can be read as you walk up, "In this home We do sharing. We do laughter. We do mistakes. We do real. Sometimes we do silly. We do our best, we do Fun. We do I'm sorrys. We do grace. We do loud really well. We do hugs. We do family. We do awesome. We do love." This is a customized version of Entryway Wall Quote #15 The Belvedere Designs team worked closely with this customer to make all text fit correctly in the space. This can easily be customized to fit your family and your staircase! 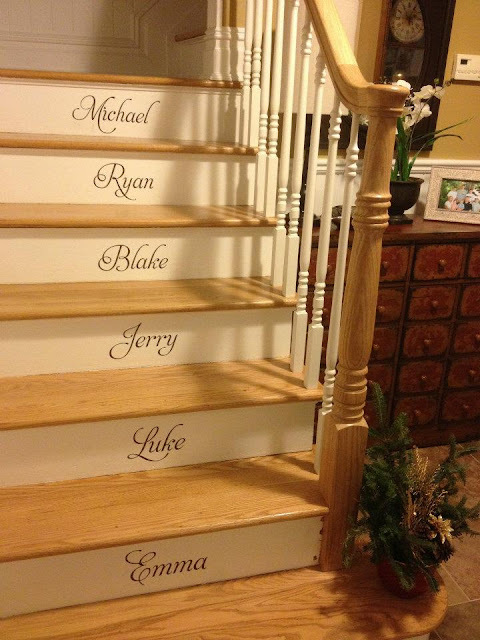 Here's another example, a Mom with a full house added all her children's names on the stairs!